The Jeep Wrangler JK was completely redesigned in 2007. The Wrangler JK 2-door was visibly wider and had a 2″ longer wheel base and came with a larger factory tire. The Jeep JK was off road ready. 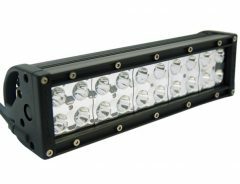 This 20 inch curved LED light bar has 120 watt LED power and is backed by a lifetime warranty. Lifetime believes that you are entitled to a great product at a great price, without having to worry about it, ever! The 20 LED light bar with a lifetime warranty. This 20 Inch LED light bar is a single row LED light bar with 20 – 5 watt Cree LEDS. This 22.5 inch CREE LED light at 120 watts of LED power is offered with a lifetime warranty. Lifetime believes that you are entitled to a great product at a great price, without having to worry about it, ever! This 30 Inch Amber To White LED Light Bar 180W is a combo beam that allows you the choice of Amber or White for your LED light bar. Lifetime LED Lights is happy to bring you this new Amber/White LED Light Bar, we are getting a lot of great feedback on this Amber Light Bar and it’s popularity is soaring.